Our state of the art event center is a great place to host a wide range events. Whether you have guest speakers, or a full band, we can meet the needs of your event. The Wilson Building also contains our 250 capacity dining room. For our larger groups we recommend reserving one of our chalets. Chalet 1 will accommodate 14 guests in a dorm style setting with bunk beds. Chalet 2 will accommodate 14 guest upstairs and 16 guests downstairs. Linens and bedding are provided. Each chalet has a bathroom area with showers. 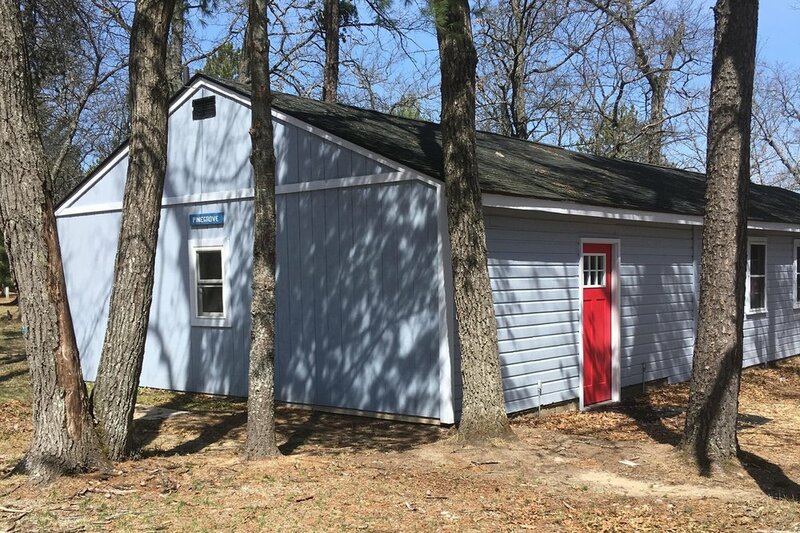 The cabin has four separate rooms (A, B, C, and D) that will sleep four or five guests each. There is a suite style door that adjoins A and B which is great for larger families or small groups. C and D also have a suite style door between them. Each room includes a double bed, bunk bed with a pull out trundle bed, sink and bathroom with a shower. Linens and bedding are provided. Additional housing for large groups, this area provides a refrigerator, microwave, and sitting areas. 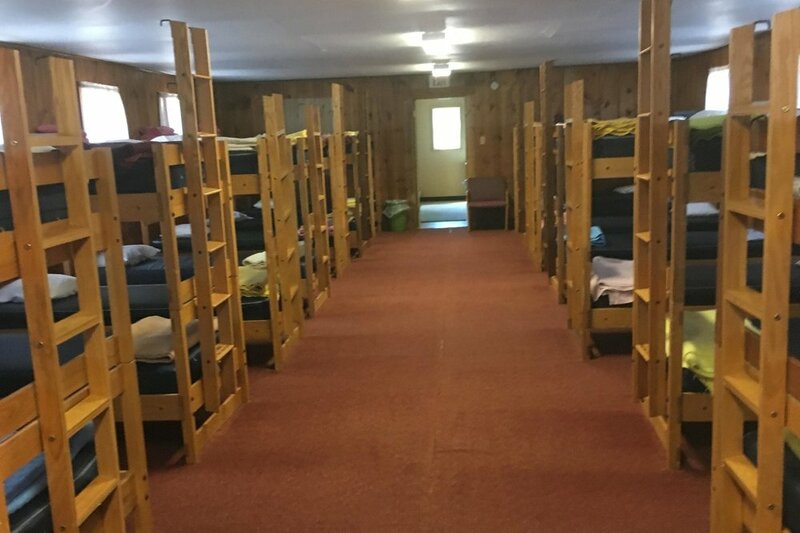 A dorm style setting with bunk beds, this location is closer to the water front and can accommodate up to 32 guests. Linens and bedding are provided. The restroom area includes three private toilets, three showers, mirrors, and sinks.